Update: According the official VZW Support Twitter account, it looks like the update should be available sometime today. You can check for the update manually by hitting Settings > About Phone > System Updates, and don't forget to shoot us a tip when it hits your device. Let the frantic update-checking begin! 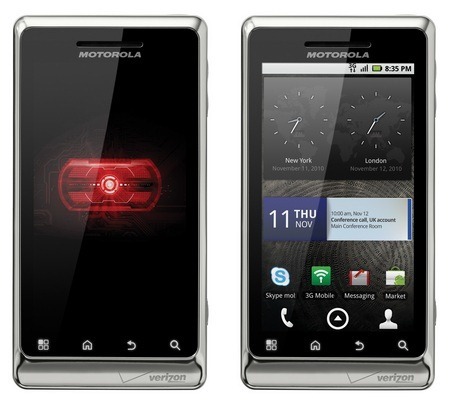 Motorola just released the Gingerbread update for the Droid X two weeks ago, and now it looks like the same update may be ready for the Droid 2 Global (sorry original D2 owners, you'll have to sit this one out). According to Droid-Life, the initial "soak test" could start as early as the end of the week for some lucky users. Verizon has already thrown the info up on its support site, and from the looks of it, this is basically just a rebranding of the Droid X update, with the addition of some security and encryption features. 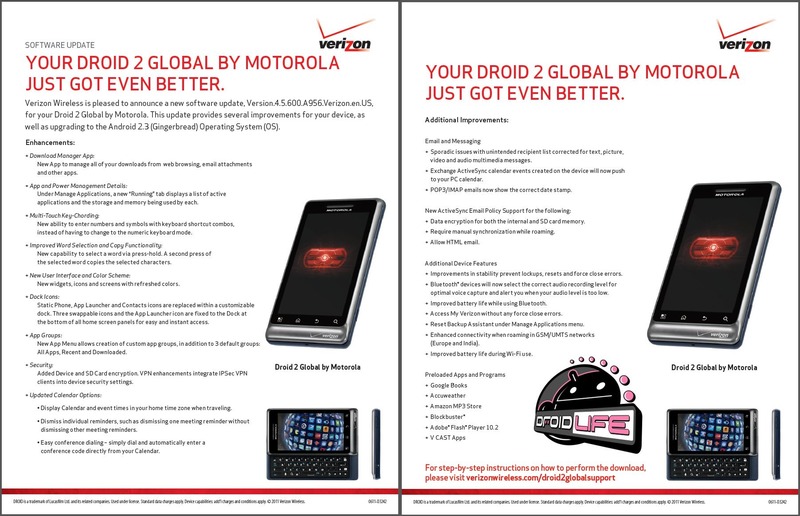 For more info, head over to the official VZW Motorola Droid 2 Global support page. We'll keep you posted as more info, including an official release date, surfaces.